Unfortunately, nothing lasts forever and it is a fact that over time, dental work needs repairing or replacing. Some examples include a chipped or cracked metal filling, a fractured tooth or damage to previous crown and bridgework. For most cases, the replacement or repair of the damaged item is straightforward and can be managed fairly easily and predictably by a general dentist. However, if there is extensive crown and bridgework that is showing signs of failing in multiple teeth, a more specialist form of intervention is usually needed. 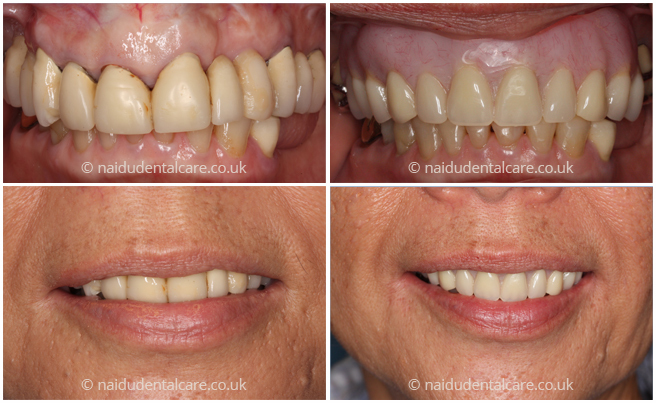 As a Prosthodontist, Adit Naidu has specialised in these types cases and has managed this form of re-treatment. If you are concerned about your failing dental prostheses, please call us to organise a consultation.